The cover was designed to emulate a paperback novel. 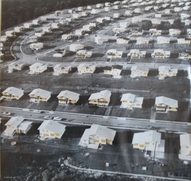 The back cover featured a suburban-looking Billy Joel. 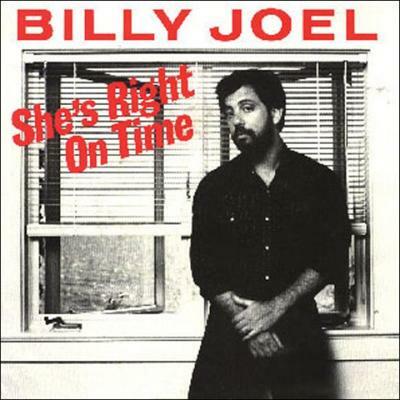 Billy Joel's 1982 album, The Nylon Curtain, is widely considered to be his most ambitious and mature album. By 1982, Billy had turned 33 years old and despite his career success, life had dealt him some setbacks. He was involved in a serious motorcycle accident and his marriage to his first wife Elizabeth was about to end. 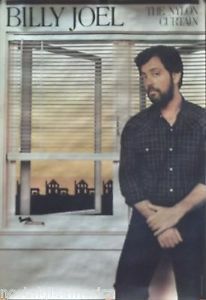 The Nylon Curtain was Billy Joel's "grown-up" album, in which he reflects not only on life as a man in his thirties, but on the state of America at the time. 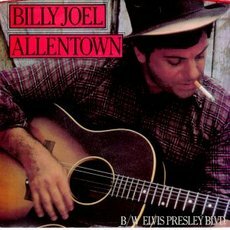 In songs like "Allentown," "Pressure," and "Goodnight Saigon," Billy addresses key social and political issues of his generation, the Baby Boomers. And in "Laura," "A Room of Our Own" and "She's Right On Time," Billy depicts a more complex and nuanced look at personal relationships in the modern age. In addition to the more mature themes of the album, The Nylon Curtain was also was more musically complex and rich. Musically, the album contains some of the most layered and intricate sounds of any of Billy's albums, from the John Lennon-like vocals of "Laura" and other songs, to the ethereal yet jarring "Scandinavian Skies." No doubt Lennon's death in late 1980 was still weighing on Billy's mind and art, see here. Billy has said that he wanted The Nylon Curtain to be an "FM album," one that you would put the headphones on for and listen to over and over again and find new things each time as Billy had done listening to The Beatles' Abbey Road, Sgt. Pepper's Lonely Hearts Club Band, and other albums. There is a definite late 60s psychedelic influence to The Nylon Curtain though it is not overt. 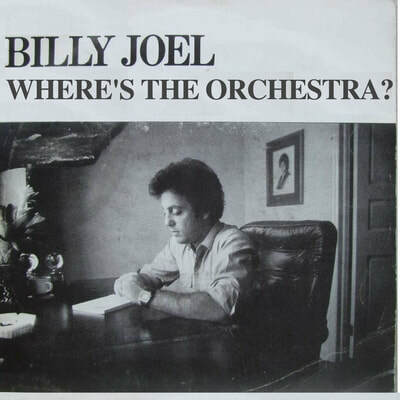 The highlight of the album may be the little-known "Where's The Orchestra?" which operates as a philosophical metaphor about life. If all the world is a stage, then "wasn't this supposed to be a musical?" Whereas Billy asked a similar question about suburban angst several years ago in "Movin' Out" ("is that all you get for your money? "), here he now asks a deeper and broader question about life and adulthood. Where, indeed, is the orchestra? The name of the album, The Nylon Curtain, was a play on the term "The Iron Curtain" which referred to the former Soviet Union. While America is not the "iron" curtain, there is still a barrier here, there are obstacles to our dreams and desires, both as individuals and as a broader society. It's a theme Billy explored earlier, most notably in "Scenes from an Italian Restaurant," but here it is central to most of The Nylon Curtain. While The Nylon Curtain was not the mega-seller that some of Billy's earlier and later albums were, and while it may be his least accessible work, it is a considerable achievement on all fronts: musically, lyrically, and thematically. – From "Where's The Orchestra"
Billy went on a world tour to promote The Nylon Curtain. A concert in late 1982 at Long Island's Nassau Coliseum was recorded and released on video (VHS) as Live from Long Island. This is probably his best recorded concert that was an official release, and was the first since 1976's Billy Joel Tonight. The video was later released on VHS and laserdisc, but not on DVD. A YouTube playlist can be viewed here or at the Video & Audio tab, above. 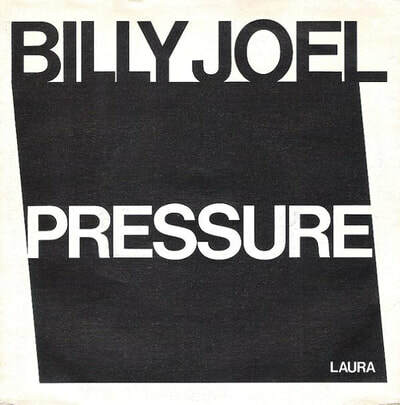 Listen to an audio interview (WIOQ) by DJ Ed Sciaky with Billy Joel from 1982 about The Nylon Curtain; click on the play button below (must have Adobe Player to see this, or you can listen to it on YouTube). 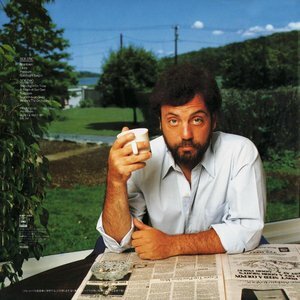 Sciaky helped popularize Billy Joel to the Philadelphia area back in the early 1970s by playing "Captain Jack" on the radio before it was officially released on Piano Man. Listen to a SiriusXM snippet on Soundcloud, below, about Billy Joel and John Lennon not meeting each other, though each wanted to, when they both lived on Long Island's North Shore. Billy later discovered from a mutual friend that Lennon "used to row his boat by my house , my house was right on the water, and he said . . 'I'd like to go say hi to Billy Joel but I don't want to bother him.' And the funny thing is I used to drive my boat by his house" and thought the same thing. "I wish he had just stopped and knocked on the door. It would have been nice. It would have been a nice thing." After recording The Nylon Curtain, Billy said, “I had never realized how much John Lennon had meant to me, how much he and Paul [McCartney] were the irreplaceable sweet and sour,” as quoted in Billy Joel: The Definitive Biography. “It was only later that I realized I was channeling John in a lot of the vocals on that album." See related article. Promotional poster for The Nylon Curtain. I had this poster years ago on my bedroom wall. The Nylon Curtain inside sleeve cover. 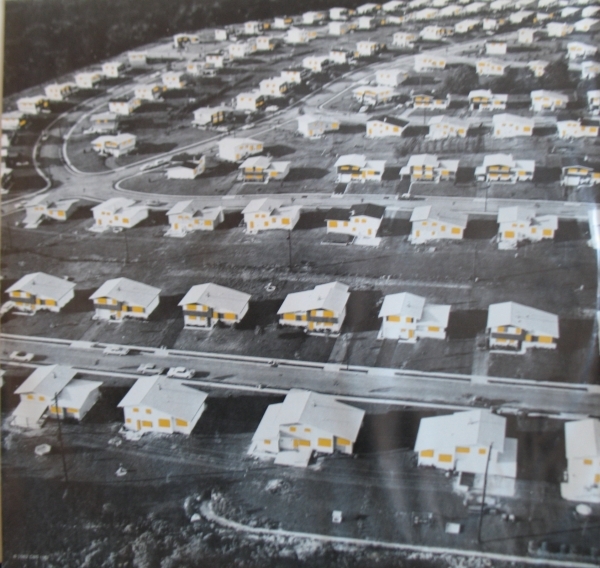 Well we're living here in Levittown. Tour book for The Nylon Curtain tour. 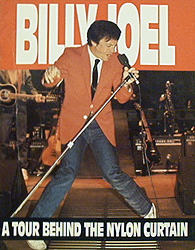 Billy wore that red jacket during much of the Glass Houses tour (1980). 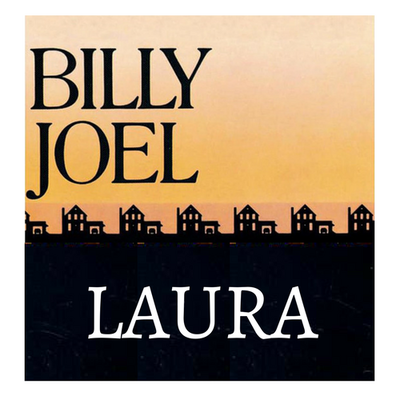 Covers for "Laura," "A Room of Our Own," "Surprises," "Scandinavian Skies" and "Where's The Orchestra?" are fictional. 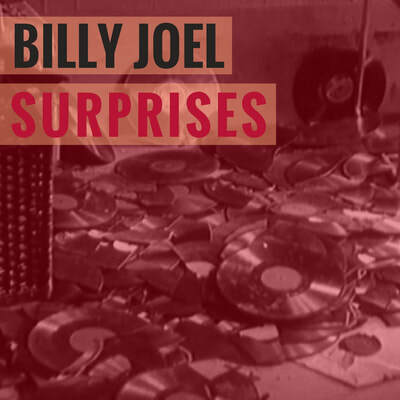 "Surprises" photo from VinylGif. 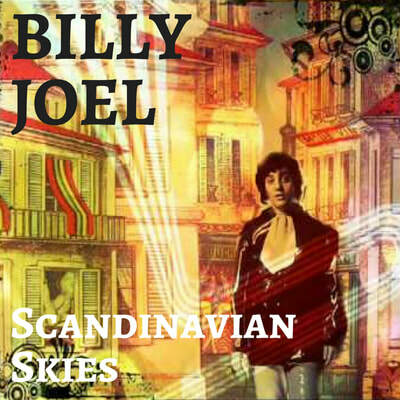 "Scandinavian Skies" photo from YouTube video by user Thelatepetercook. Various Interviews. This playlist contains a series of video and audio recordings in which Billy discusses The Nylon Curtain, or are interviews from the time when the album was released. Thanks to Pianoluvr2006 for posting much of this on YouTube. MTV Night School with Billy Joel. Billy appeared on MTV's Night School in 1983, one of his first Q&A sessions. Billy is humorous and very gracious in answering questions from the audience. This was apparently filmed at The New School in Manhattan. Live from Long Island (1982). This is one of the better Billy Joel concerts, filmed at Long Island's Nassau Coliseum. It was broadcast on HBO, and later released on video. There are multiple versions here, including a shorter version from Japan television. (The annoying "By Coto" credit will disappear in each video after a short while). Read a review of the HBO concert special from The New York Times in 1983. Live at Madison Square Garden (1982) (audio only). New Year's Eve concert at MSG. Thanks to Deer5001InConcert for posting. Update: Deleted from YouTube (2018). "On The Nylon Curtain. 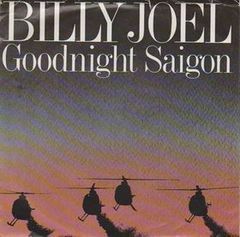 "Goodnight Saigon" and "Allentown" find Joel tackling subjects farther from home and larger than his own neighborhood, and they bring out the painterly side of him that has always identified with that master of American light, Edward Hopper." Copy of print ad available for purchase on eBay by Bats! 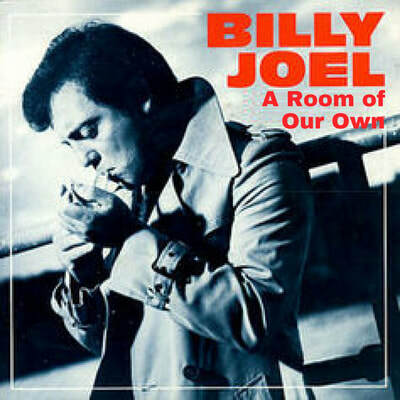 ﻿﻿Billy Joel – vocals, acoustic & electric pianos, synthesizers, Hammond organ, melodica, Prophet-5 synthesizer, Synclavier II on "Pressure", acoustic guitar on "Allentown"
Dominic Cortese – accordion on "Where's the Orchestra?" Eddie Daniels – saxophone and clarinet on "Where's the Orchestra?" Charles McCracken – cello on "Where's the Orchestra?" Rob Mounsey – synthesizer on "Scandinavian Skies"
​David Nadien – concertmaster on all except "Laura" and "Scandinavian Skies"
"String Fever" – strings on "Laura" and "Scandinavian Skies"